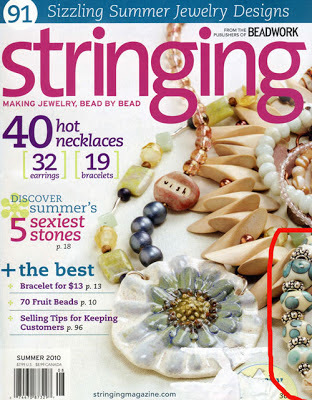 Kristy's Kreations Jewelry: My necklace made the cover! Love it. 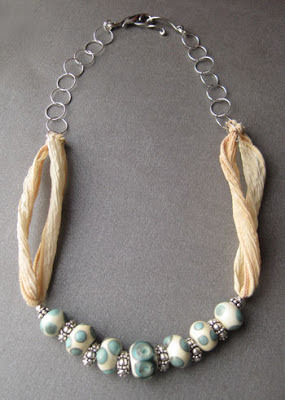 Having the center focal be smaller than the beads leading to it is very interesting and effective. 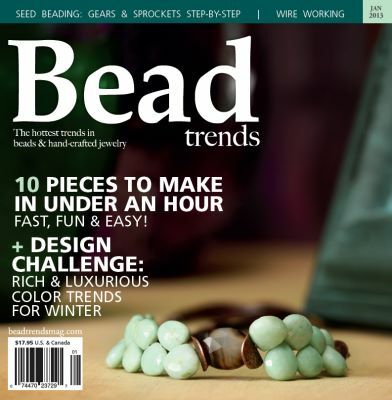 Congrats for being on the cover of Jan Bead Trends. I guess I'll need to renew my subscription! I like how you used the graduated briolettes and the focal. Plus the palette is beautiful too. Well done!! How wonderful!! That's got to be a great feeling of accomplishment!! I'd be happy!! Congratulations on making the cover. It's a beautiful necklace. 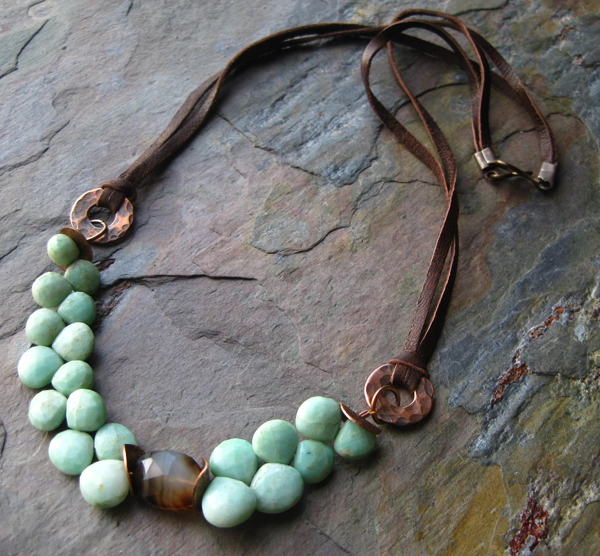 Kind of rustic feminine. Thank goodness you included your photo because theirs does not do it justice.